Diabetes And The Common Cold: Diabetics have a lot more to consider than simply managing their own blood glucose level. 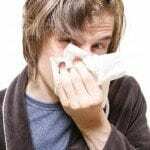 Individuals who have this condition must also be cautious with regard to simple things such as catching the common cold. Where those who do not have diabetes can recover from a cold in a few days, those who are diabetic take longer to recover from such an illness and may even experience complications as a result of the cold. It is these complications which can present severe health issues for the individual. The following presents some factors to consider with regard to diabetes and colds. One of the main results which can potentially occur when diabetics catch colds is that the stress on the body due to the illness can cause the blood sugar level to rise. The rise in the glucose level is the result of extra hormones being produced by the body to fight the cold infection. The extra hormones interfere with the insulin process and can cause serious issues such as ketoacidosis in those with Type 1 diabetes or a diabetic coma in those with Type 2 diabetes. Both of these conditions are extremely serious and even life threatening for some. Although individuals with diabetes will experience colds from time to time, there are ways to make the side effects resulting from the illness less likely. The first way to do so is to check your blood glucose level on a more frequent basis than you usually do when you are well. By doing these tests more frequently, you can determine if there is a spike in your blood sugar and if so, you are then able to remedy the situation by altering the insulin dosage accordingly. Your treating physician will best be able to tell you how to fix the problem and deal with the varying blood sugar levels in the correct manner. Another way to aid in the prevention of cold side effects is to alter your diet a bit. Make sure that you are getting the proper amount of carbohydrates and fluids throughout the day. One may actually require more carbs and fluids than usual due to the cold and accompanying symptoms. Just be certain to keep in stride with your usual diabetes menu plan and not eat anything that is not within your usual diet. The best way to prevent any side effects from resulting due to your cold is to keep from getting sick in the first place. Whether diabetic or not, there are a few tips to keep in mind to pursue healthy daily habits. Things such as washing your hands regularly, avoiding those with colds and other germs and eating healthy foods such as fruits and vegetables are all ways to prevent the common cold. If you are diabetic and find yourself coming down with a cold, there are a few things that you can do to lessen the inconvenience and discomfort associated with the illness. First, drink lots of fluids to keep yourself well hydrated. Secondly, make sure that you get enough rest as sleep will help you to rid yourself of the cold in a much quicker fashion. Also, diabetics are able to take some cold medicines but it is important to discuss the recommended types with your doctor before taking anything as some products could be detrimental to the health of the diabetic. Lastly, make sure that you keep up with your proper insulin doses and be mindful of maintaining your blood sugar level as certain things can be forgotten when one is not feeling well.